Welcome to “The Range” - Kelowna Driving Range in a Spacious Park Like Environment with modern amenities for the local and traveling golfer. Not your typical Kelowna golf driving range with boundary nets and rubber mats, The Range is 300 yards long and almost as wide. 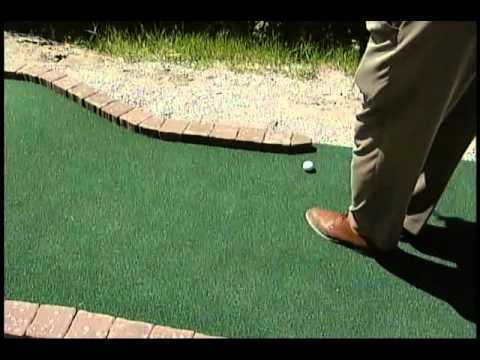 The modern synthetic grass tee line provides grass like feel and is not jarring to wrists, elbows and shoulders nor does it damage clubs like typical driving range mats do. The Kelowna Driving Range uses Callaway range balls giving the same feel and performance as most golfers find on the golf course. Whether it’s a quick 30 ball warm up bucket before a game or an X-Large 150 ball bucket perfect for sharing there is a size that fits your time and budget. The course is challenging and provides fun for all levels from beginner to seasoned golfer with contours, drops, water and a finishing figure 8 hole. Mini Golf is a great family outing as well as an alternative for birthday parties, corporated or group events and league play. Stop by and see for yourself. The Manteo Resort was an awesome place to stay and they treated us really well.The weather was challenging... we even got a few minutes of snow on Tuesday at Kelowna Springs... but we still enjoyed the courses. Another year we may choose to come the last week of April to catch a bit more spring! All of the personal at the courses were great to us as well. BCgolfguide.com seems to be held in high regard by the people out there. The new course, The Club at Tower Ranch, is definitely a winner... we enjoyed our round there and will add it to our list of must play courses.